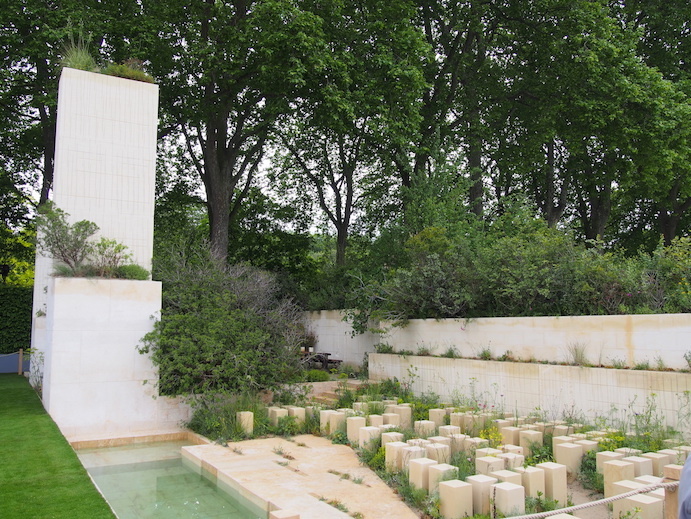 What is the future for the Chelsea Flower Show? The RHS Chelsea Flower Show is a spectacle like no other, but as it closes its doors it's time to look at the chasm that is developing between how the RHS view the show and what the average visitor wants from it. The show has changed a great deal since it began as a way for British nurserymen to showcase their wares in the days before colourful printed catalogues and interactive websites. Growers would hold plants back from flowering in chilled rooms or advance them in warm greenhouses so each and every plant would look perfect for Chelsea Week. It was a masterclass in the art of growing and was unrivalled in the world. The RHS began as an organisation to represent horticulture, bringing growers and enthusiasts together to discuss and promote their plants. From small beginnings, it has also changed and is now a big business. Like any large organisation, it needs a steady, large income in order to keep going. The Chelsea Flower Show is a money-spinner like no other and the RHS gradually began to make the most of it. Unfortunately, the horticultural side of the show began to suffer as big sponsors moved in. Early show gardens were mostly the sort of area that visitors could relate to or just admire. They would walk around with notebooks making sure they knew the names of plants that would fit in their own garden at home. Chelsea was all about getting inspiration for your own garden. Once the sponsors moved in, this changed. They began to spend vast amounts of cash creating large, film-set gardens on Main Avenue. They dug into the ground - something that the RHS never used to allow - and built up instead of using the Rock Garden bank nearest the river. Instead of having to work with nothing bigger than a wheelbarrow, the diggers moved in. Costs spiralled and it is now common for a large garden to cost a quarter to half a million pounds. Obviously, if you spend this kind of money, you need a return on it. Since the RHS insist that the garden is built to the original brief, the designs changed to reduce the uncertainties (the flowering plants) in favour of evergreens and paving. The motto became “go green, get Gold” but this meant that the show gardens began to look alike. The ones who bucked this trend seldom won Gold, especially if the season was too warm or cold and the plants did have to change. TV coverage also began to concentrate on the Gold medal winners and ventured less and less into the other gardens. The smaller sponsors began to pull out, realising they were in no position to challenge the big firms. The constant reference to the main sponsor in TV coverage began to deter business rivals. The visitors, who got a much better view of the show gardens on TV anyway, began to spend more time in the Marquee, later the Pavilion, where they could see new introductions and talk to the real growers. The question is, can the show survive if there continues to be such an emphasis on design at the expense of gardening? It is, after all, a Flower Show. This year, vast quantities of stone were transported from Malta for the Gold- and Best in Show-winning garden (Bottom Picture) , but how is this in line with RHS policies on the environment? One firm of plant growers, who source their plants all over the world, supplied the plants for 11 of the show gardens. This is leading to an increasing similarity of plants within these gardens. The number of large show gardens halved this year and the RHS conveniently blamed Brexit, but to do this is to ignore the previous reduction in exhibitors. In contrast, local and regional shows are enjoying a resurgence. These have a lower entrance fee (leaving more money to spend inside), reasonable prices for refreshments and offer more in the way of both “traditional” gardening and entertainment. The Chelsea Flower Show is a big corporate event, but it is not run by horticulturists and it is no longer for gardeners. 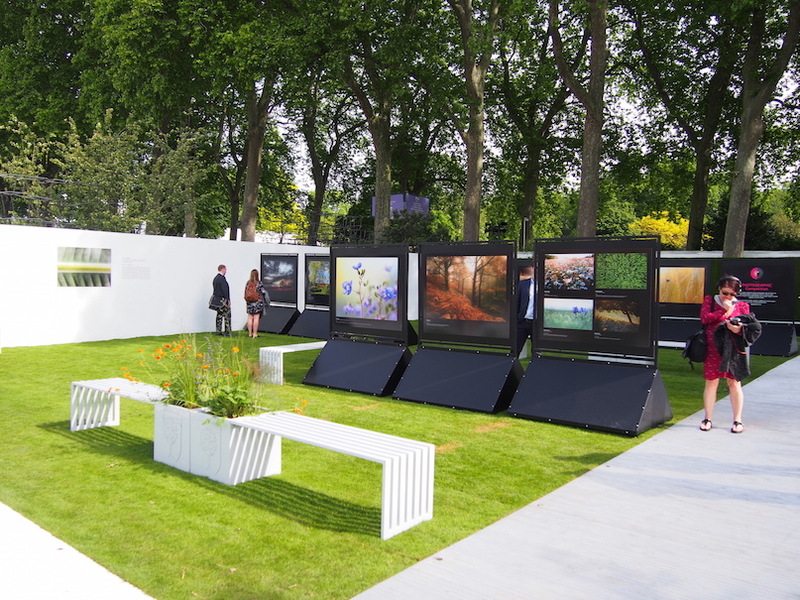 As it stands, the outside exhibits are becoming the London Garden Design Show, run on extravagant lines for designers to showcase their abilities. Growers, confined as they are within the Pavilion, are annoyed at being ignored by the TV coverage, especially considering the huge expense of staging a display in Central London when they are banned by the RHS from selling plants (only tiny plug plants and seeds are allowed) to recoup some of the outlay. Many are considering dropping the Chelsea Show in favour of regional shows or just selling online via their websites. Some have already done this, which is why, this year, there was space for a Tea Emporium within the Pavilion. When it first occurred, this ever-expanding space was given over to talks, but the RHS are being forced to fill more and more gaps as inventively as possible. Exhibitors are arriving to find their display space expanded far beyond agreed limits, leaving some short of plants to fill the display. Previously banned walk-though exhibits are now actively encouraged, as the pathway takes up space, and the paths between stands are getting wider. Fillers around the showground this year included a big RHS garden, advice desks, a photographic display, a picnic area and 5 gardens created at just 6 weeks notice as the Radio Two Sensory Gardens. The financial outlay on these extras will have to be recovered somehow. The need for the corporate side of Chelsea will not go away, but the reduction in sponsors should force a rethink within the RHS. Halving the size of the show gardens would be a start and give visitors more to see. Capping the cost for each garden would make the designers think twice about sheer extravagance and allow visitors to see what can be achieved for the price. They could reduce the dependence on great earthworks and bring back an emphasis on planting in all its forms. The size of the average garden is shrinking and it would be a great chance to show new gardeners what they can achieve, even in a restricted space. Chelsea is a great show, enjoyed by gardeners even in its current form, but it could be so much more. The RHS could do worse than canvas its members’ opinions or perhaps take a look at other shows to see how they do things.